Breakdown: Looking at the graph, two years stick out. 2012 was the year Boys & Girls set the Indoor State Record, while 2016 would be the year Huntington would go on to set the Outdoor State Record. Besides the two outliers, we've been relatively flat in both regards, although once again, Christopher Columbus has dropped the State Leader lower than the past two years. It's now up to the next nine teams to step it up, and drop that 10th place mark under 3:25.0. Update: After Millrose, 9 teams are at 3:24.8 or under. We're looking for just one more, and we should be in great shape. Breakdown: We've had some impressive years in our past for the 4x400m, as this may be the biggest gap between the Top Time and the Tenth Time (by percentage) of all the graphs. As we mentioned, 2016 was the year Paul Robeson set the standard in the 4x400m, after Cardozo scared the record the year before. Since then, the times have slowed down, slower than the average of the past decade. 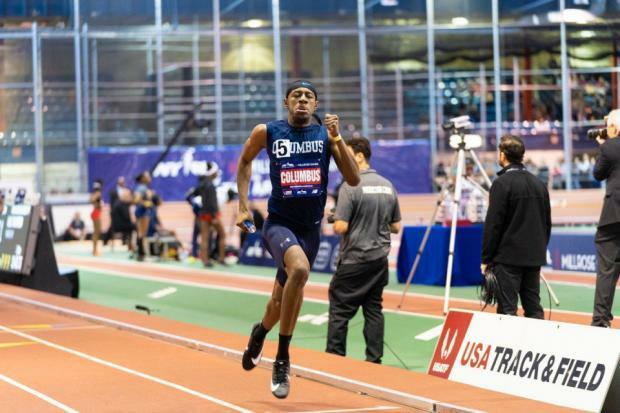 Update: Before Millrose, only one team had broken 4mins all season. 24hrs later, and now six more has followed Robeson under. That puts the tenth place time at 4:01.71, still the slowest in over a decade, but more in line with where it should be. That average should drop even more as the season progresses.